When someone has more than one crisis in a short time, the Bible character named Job is often mentioned. In the book that bears his name, we read that he lost all of his belongings, which were plentiful. He lost all of his children. He even lost his health. And that’s just in the first two chapters. Some friends come. They sit with him. And then Job speaks. He pours out his heart. For the next many pages, Job and his three friends debate the causes of Job’s suffering and the right response. They are confident that the blame must be Job’s. He’s sure it isn’t. By the end of their conversation, Job’s three friends are frustrated that they cannot change his belief that he has done nothing to deserve this and that he’d like to never have lived. And then a fourth friend speaks, a younger man. He confronts both Job and the three friends and points to God. It’s possible that by itself, this speech could have been helpful and a starting point for meaningful conversation, but by the time he talks, everyone is exhausted. Eventually, God responds. He doesn’t answer the complaints, but offers reminders of Job’s short life and God’s long and powerful existence. The last part of the book describes how Job offers sacrifices on behalf of his friends. He then has more children and riches. It is a long book with many lessons. But here are a few. Nothing Job did caused the troubles. The beginning of the book makes it clear that God isn’t punishing him at all. In fact, his life had been exemplary. When people are walking through pain, it may be a result of poor choices on their part. It may be divine punishment. But there are several examples, from Job to Jesus to Paul, of people who did nothing to deserve their pain. 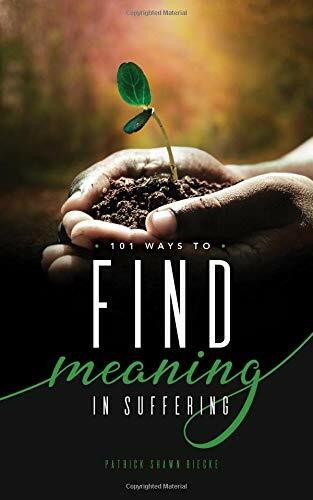 Looking for meaning for our pain is human. We want our pain to have a reason rather than being random. We want there to be lessons or learning or purification or something. That’s why we so often ask “why?” Cutting off the question isn’t helpful. Attempting to answer is also human. It’s part of our capacity to name. But often, we aren’t very accurate in our answers. We lack perspective, we lack the facts. We commit the fundamental attribution error, which takes that human need to fill in the meaning and finds explanations from our own values and motives. The friends did great. Until they didn’t. Job’s friends were helpful for as long as they sat quietly with him. They provided presence. But when they started to talk, they again gave answers from their own experience. In our pain, we don’t need speeches. We may not get answers from God. Or, to be more accurate, we may not get the kind of answers we want. We want to know that our particular pain will make a difference for someone else or will accomplish something or won’t be wasted. And although Job’s story has been providing meaning for people for millennia, there was no way he could know that. His friends needed Job’s actions more than he needed their words. God tells Job to offer sacrifices on behalf of the first three friends. Their attempts to speak on God’s behalf did not represent God. There is much more in this book. In fact, you may have some observations of your own to share here. I’d be open.